Sam Archer might get the award for Least Interesting Big Guy. And after building up one domain in order to pay for Sam Archer, the last ability I want is one that will take a couple turns to happen and that just lets me "win more." 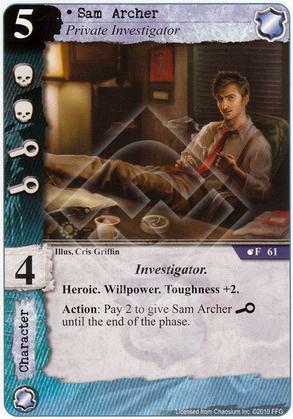 I know this is an older card, so the power level is a little outdated, but Sam Archer is both overpriced and boring compared to James Logan, etc.